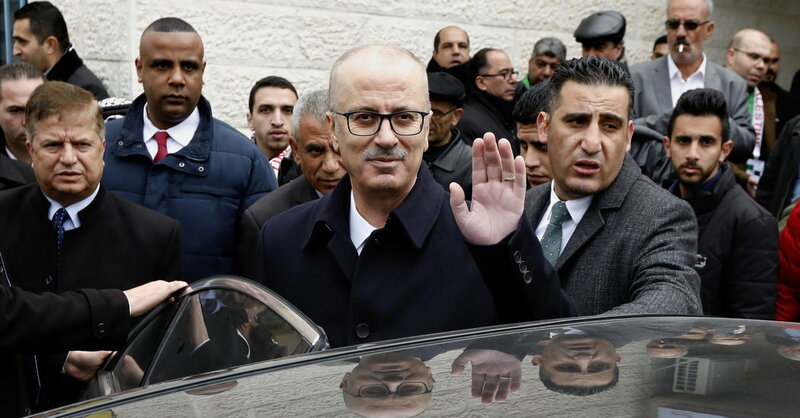 The departing prime minister, Rami Hamdallah, a former university president, has led what was a largely technocratic administration, mostly made up of lawyers, business figures and academics who were technically politically independent but had the approval of both. Fatah, the mainstream party that is the dominant force in the West Bank, and Hamas. But the reconciliation project it was designed to embody has made little progress, and its promotion of a contentious social security law prompted widespread street demonstrations. 19659002] The cabinet's resignation has been accepted by the authority's president, Mahmoud Abbas, and cabinet officials said it would con tinue to function until a new government was formed. Mr. Abbas's Fatah party has recommended that a new government has a stronger political component, made up mostly of members of Fatah and possibly some other factions, but excluding Hamas. The shift only adds to the sense of uncertainty and disarray that has characterized Palestinian politics after more than a decade of deep divisions between the West Bank and Gaza, and with peace talks with Israel long at an impasse. Palestinian political leaders are jostling for position in an expected internal race to succeed Mr. Abbas, an ailing octogenarian. Leadership has curbed its relations with the American government since late 2017, when President Trump reversed a longstanding policy by recognizing Jerusalem as Israel's capital, following up last year by moving the United States Embassy to Jerusalem from Tel Aviv. The Trump administration has slashed funding to the Palestinians and taken a series of other punitive measures in clusters of compelling them to participate in an American-led peace process. Domestically, with no Palestinian elections on the horizon – the last national ballot took place over a decade ago – public resentment has been growing. "The public became unhappy with the whole idea," said Ghassan Khatib, a political scientist at Birzeit University. the West Bank, "mainly because it has no confidence in the stability of this authority, or in the performance of the government on such a huge project, and because of other factors like corruption." process of being amended, has effectively been suspended. Hamdallah was first appointed prime minister in 2013 and became head of what was supposed to be a government of national reconciliation in June 2014. Hamas and Fatah have long been for power and influence, but the rivalry deepened after Hamas won Palestinian legislative elections in 2006. A year later, amid factional fighting, Hamas seized power in Gaza, routing the Fatah forces and confining Mr. Abbas's authority to parts of the Israeli-occupied West Bank. A subsequent series of power-sharing and reconciliation agreements between Hamas and Fatah have mostly been on paper, with no significant changes on the ground. Mr. Abbas recently dissolved the legislative council, or parliament, which had not functioned in any case since Hamas takeover of Gaza. Mr. Khatib, the political scientist, said it was natural for a change in government every few years. But added that other factions were showing little enthusiasm to join, and that it could be politically costly for Fatah to take the lead.